Amazing show and the crowd was so loud. A really interesting play list. Thanks for the great show guys! Such a great show. One of my favorite concert experiences ever. As a side note, I think they played Electioneering instead of Airbag, and they played Staircase somewhere in the middle of the set as well. They did not play Electioneering or Staircase last night. This setlist is 100% accurate. 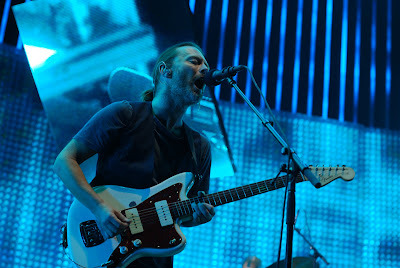 "This is what you'll get when you forgeeeeeeeeeeeeet the words..."
Radiohead clearly still has it. Great show! 3rd time seeing them. I am really glad they didnt play the hits and played what they wanted. Great show! Wasnt what i expected. They did "The Tourist" somewhere in there. It was in the last few songs. The only songs they played from OK Computer were Airbag, Karma Police, and Lucky. Not The Tourist and not Electioneering.